There has been a notable upturn in the number of keyless cars being stolen across the UK as thieves learn how to hack the technology. Criminals are using simple devices they can buy online to bypass or hack into the cars’ computer systems, thereby allowing them to easily steal keyless vehicles. 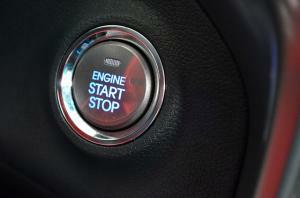 As more cars use start buttons rather than the traditional key starters, this type of crime is expected to become more and more commonplace in coming years. As this crimewave threatens to take the UK by storm, it is vital that any car garage or dealership stocking vehicles or storing customers' cars on site have a motor trade insurance policy that provides adequate protection against theft. According to police figures, last year more than 6,000 cars and vans were stolen in London alone using the hacking technique – that is around 17 each day – accounting for 42 per cent of all vehicle thefts. Meanwhile in the West Midlands there were 3,427 vehicle thefts from April to November last year, of which 1,234 were keyless, just over 35 per cent. Experts say the rise in keyless cars being stolen is a result of European legislation that made it easier for thieves to gain access to the onboard computer systems of all different makes of car. Ford Transit vans are particularly vulnerable, the Daily Mirror states, as there are so many of them on the road that there is a strong parts market for them.